The heart print birthday tin box makes a thoughtful personalised birthday gift for any age, especially for those young at heart! A lovely keepsakes box. 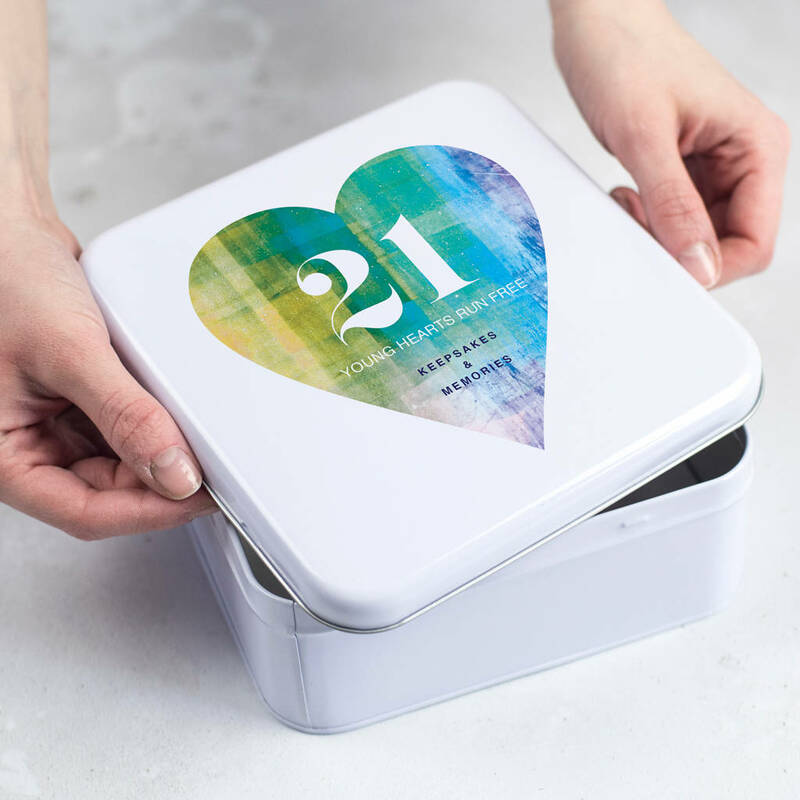 The unique heart print features on the lid of the square tin box. This is an ideal present for a milestone birthday such as an 18th birthday, 21st, 30th, 40th 50th or 60th birthday. The tin is the perfect size to keep photographs, postcards, letters, tickets, keepsakes and memories in. 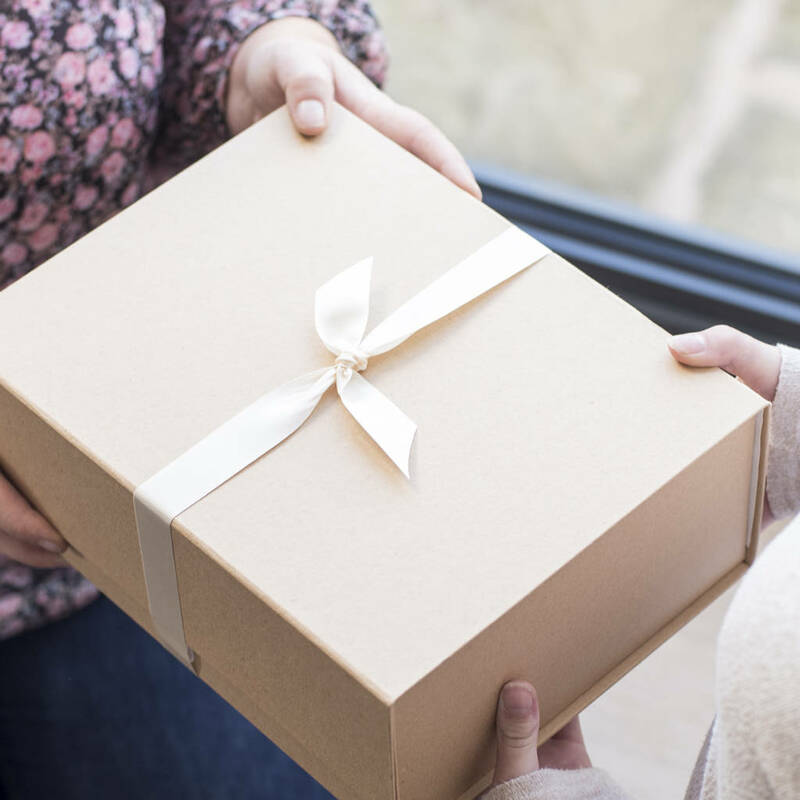 Alternatively, fill it full of everything needed for a super birthday celebration such as party poppers, streamers, candles for the cake and sweets. Another idea is to fill it full of homemade biscuits, brownies or flapjacks, the possibilities are endless! 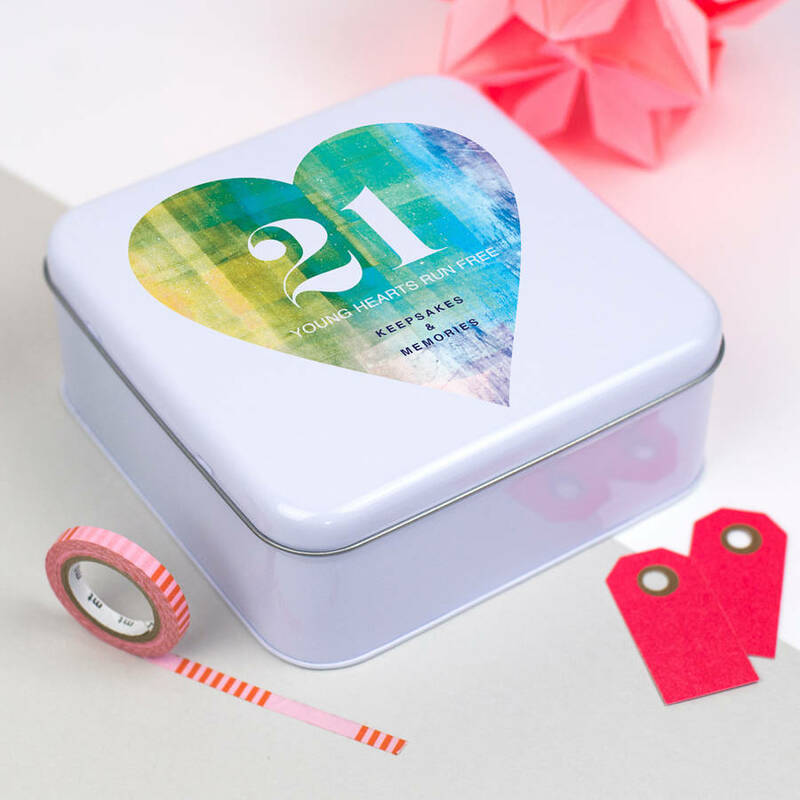 The heart print birthday tin box makes a thoughtful, unique and useful birthday gift that can be treasured for years to come. The unique heart design comes in two different colour options. The warm heart colour option includes blue, purple and pink tones. The cool heart option includes yellow, green and blue colour tones. Personalise the tin with an age to begin with, for example '50'. Then add the wording below the age to appear in white. For example, 'years young' (to read '50 years young). Then add the wording in navy, for example 'keepsakes & memories'. We will try our best to always arrange your wording in the best possible way. A lovely present for a special birthday a 16th, 18th, 21st, 30th, 40th, 50th, 60th or any age!